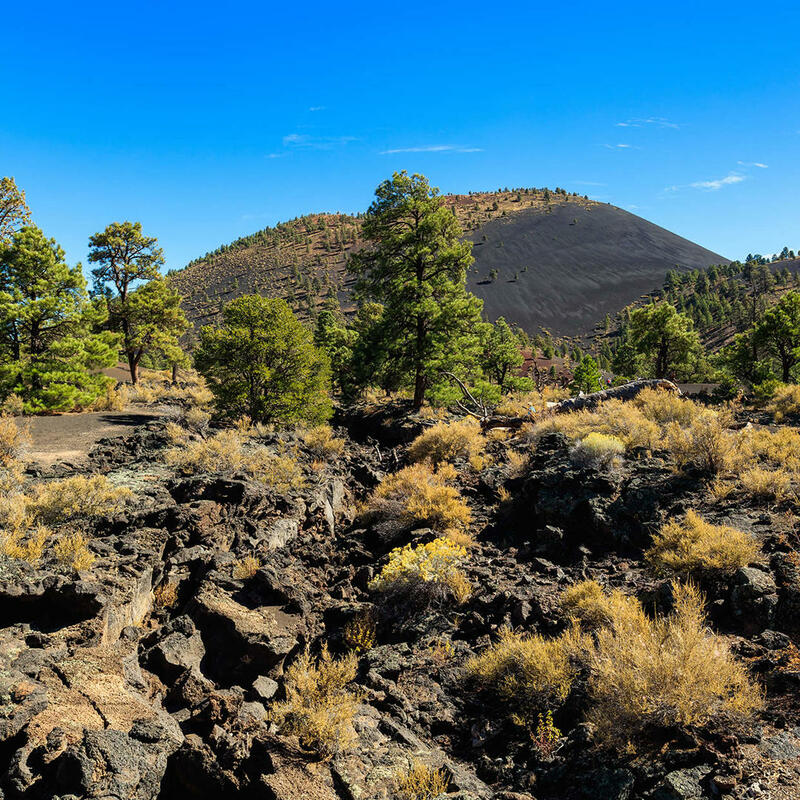 Once an active volcano, Sunset Crater is a cinder cone located amidst the twisted trees and ash covered landscape of Sunset Crater Volcano National Monument. The volcano is considered dormant since the eruption is considered to be a recent occurrence (around A.D 1085). Damage by hikers to a trail leading to the crater has forced the National Park Service to closing the trail but at the base a short trail remains. 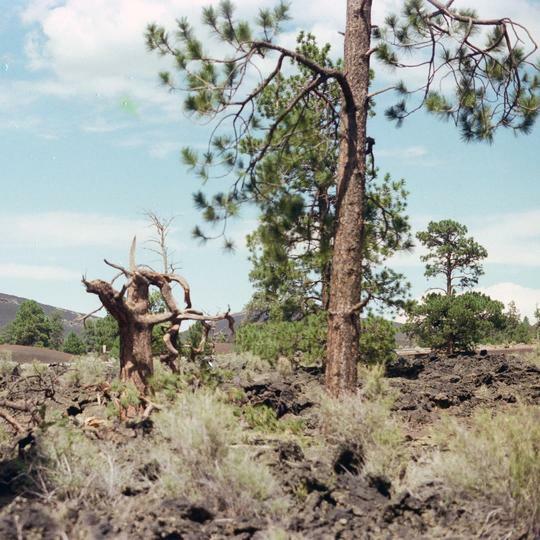 Twisted tree at Sunset Crater. 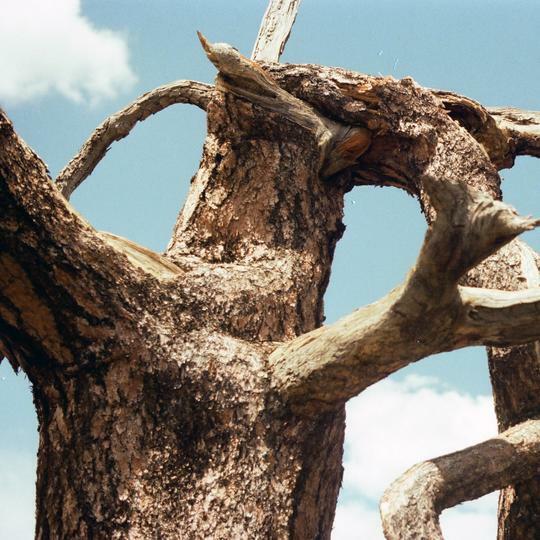 Twisted tree close up at Sunset Crater.